Located in east Fremantle, Liv Apartments will make it easy, attractive and affordable to live a ‘One Planet’ lifestyle. It is designed to reduce its energy and water consumption and waste levels, as well as enable the people who live there to enjoy active, sociable, meaningful lives to promote good health and wellbeing. The multi-storey development consists of two residential low-rise buildings featuring 166 apartments, ground floor retail and commercial facilities with a landscaped courtyard, public open space, and rooftop communal space. 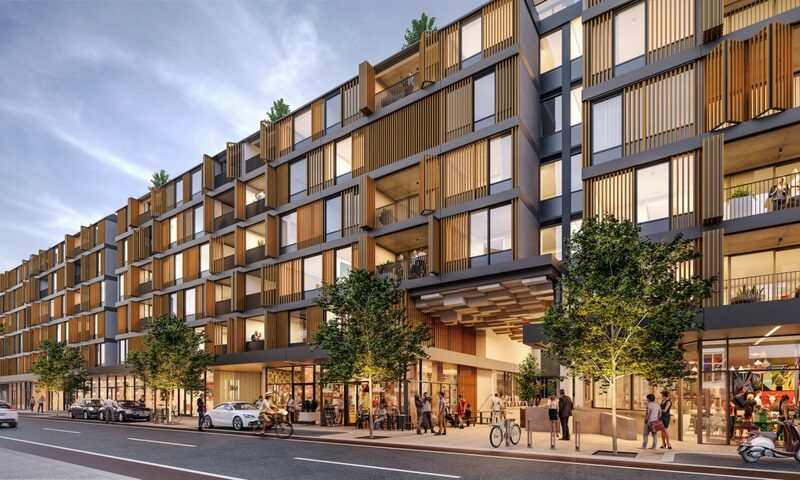 Defence Housing Australia (DHA) is a major residential developer and has more than $3.4 billion committed to property construction, acquisition, leasing and upgrade activities in most capital cities and many major regional centres across Australia. It is committed to creating vibrant, healthy and sustainable communities that house Defence members and their families, as well as new homeowners together in places they are proud to call home. Fremantle Council Mayor Brad Pettitt also welcomed the announcement: “The Fremantle Council is very proud to have Liv apartments recognised as a One Planet Community." Cundall, an international engineering consultancy and a One Planet Company, helped support the use of the One Planet Living framework for the development. Bioregional’s One Planet Living framework comprises ten simple principles that provide a common language to talk about sustainability and to drive change. It can be used by anyone, anywhere to achieve happy and prosperous lives for all within the limits of our one planet. Liv Apartments becomes the third One Planet Community recognised by Bioregional in Fremantle, and in Western Australia. One Planet Living can also be used by local government, organisations and schools. The City of Fremantle was recognised as a One Planet City in 2015 and has worked collaboratively with all of these One Planet Communities alongside implementation of its own One Planet Action Plan. Those using the One Planet Living framework form an international network of cities and communities all working to accelerate the sustainable change we need.